Now that Apple's exclusivity period is over, HBO's new standalone streaming service is available on more platforms. Subscribing to HBO without an expensive cable bundle just got a lot easier, with the arrival of HBO Now on Android and Amazon Fire devices. HBO Now includes the network’s full catalog of original series, along with movies, comedy specials, sports programming, and documentaries. While there’s no live feed of HBO’s cable channel, shows like Game of Thrones are available on-demand as soon as they air on TV. 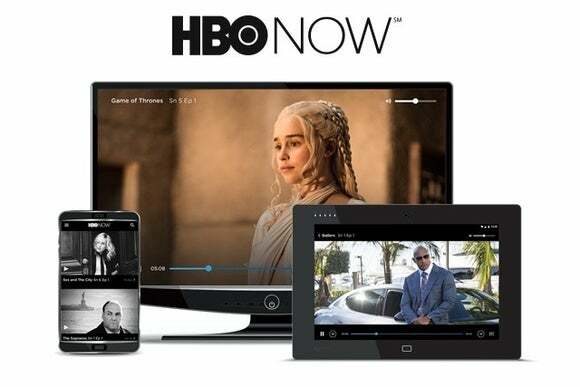 Previously, the only ways to watch HBO Now were through an Apple device or a desktop web browser. Either way, you needed an Apple device or a subscription to Cablevision Internet just to sign up. A separate streaming version of HBO is also available through Sling TV, but as a $15 per month add-on to Sling’s $20 per month channel bundle. For cable subscribers who already get HBO, the channel offers a separate app called HBO Go. A version for Android TV is also coming soon. There’s still no word on when HBO Now will arrive on other platforms, such as smart TVs and Roku media streamers. In the meantime, rival Showtime has just launched its own standalone streaming service. The story behind the story: Apple’s exclusivity deal with HBO lasted for three months, and the splashy marketing around it was likely an attempt to make traditional pay TV providers nervous. As Recode reported back in March, HBO wants wider distribution and more favorable deals with cable TV providers, and the streaming service is one way to exact leverage. That strategy seems to have paid off, as Comcast just announced a streaming service with broadcast channels and HBO, and Cablevision now offers a “cord cutter” package that bundles HBO Now with an over-the-air antenna.